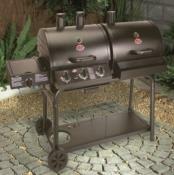 No summer should go without steaks, sausages and BBQ. 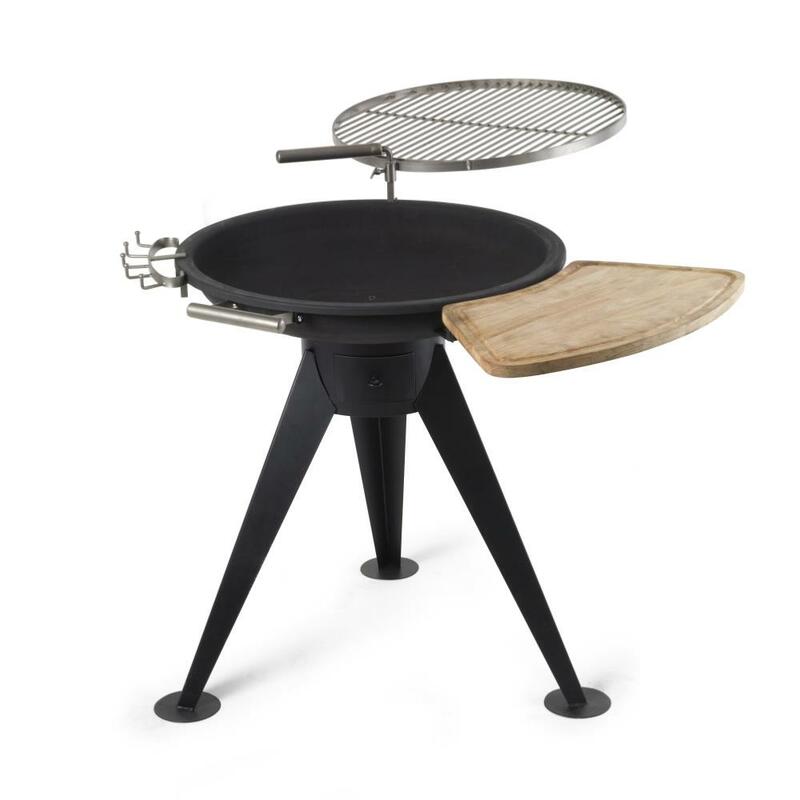 The extra heavy grill "Lamont" is the all-rounder for BBQ enthusiasts. 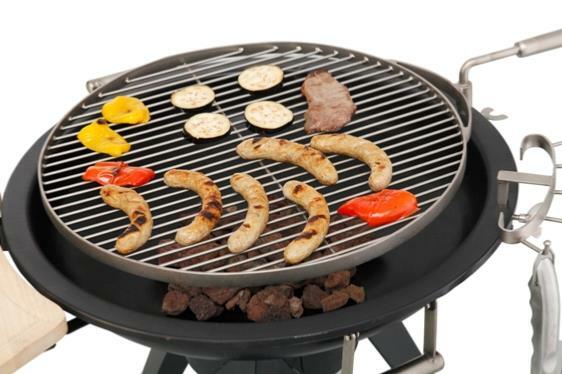 The grill features a large grill surface that can easily feed several people. 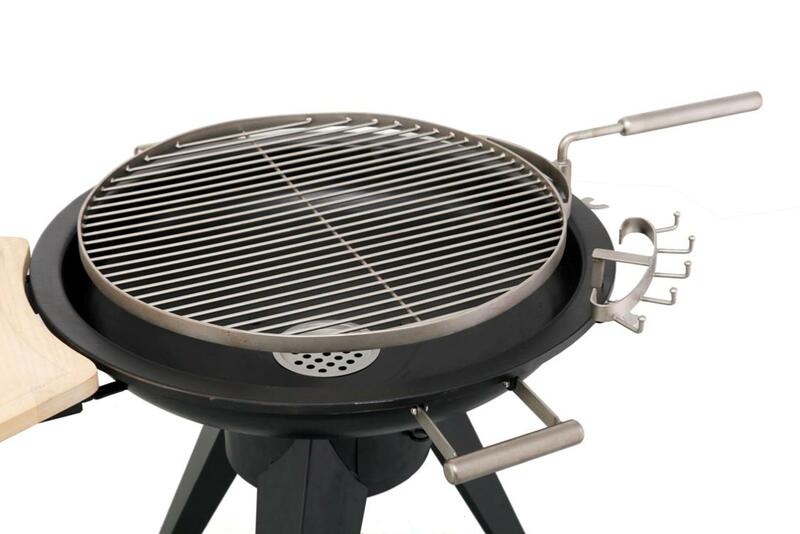 The height of the stainless steel grill rack can be adjusted so you can perfectly control the grilling temperature - making the grill especially handy and convenient. 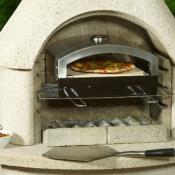 Adjust the distance between the coals and the grill rack to change the cooking temperature to your food. 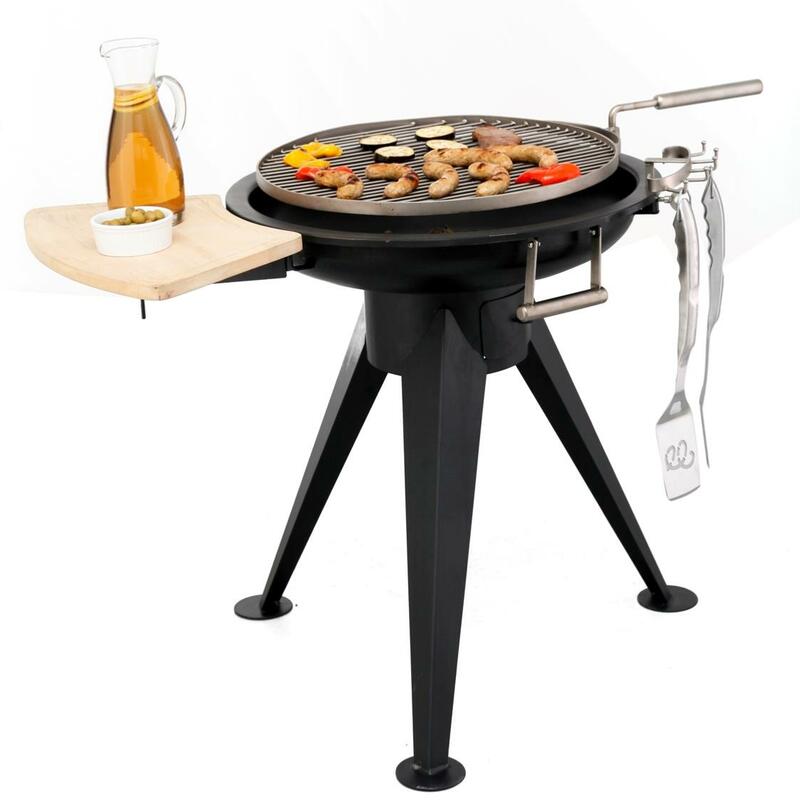 In addition, the grill rack's swiveling mechanism allows the chef to remove the food from heat instantly at his discretion. 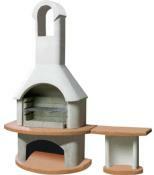 Whether on your patio or balcony - the "Lamont" cuts a fine figure everywhere. There is enough space on the shelf plate to hold drinks or food. And conveniently hang your BBQ utensils on the utensil hooks. Look forward to many fun-filled evenings with friends and family! Stainless steel handle and tool hooks. Holds up to max. 3.0 kg of charcoal.